The Dial-A-Ride program is for the general public and persons needing transportation assistance. The program is provided by Alpine County Community Development. 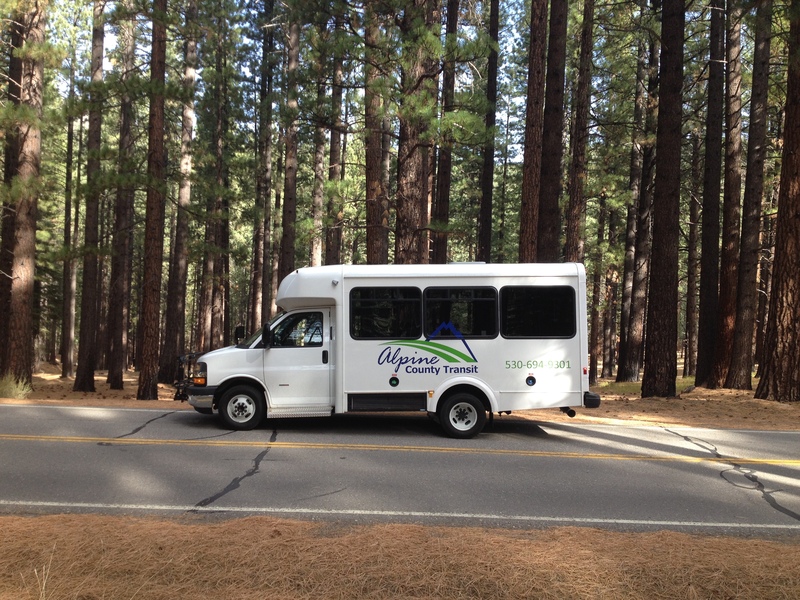 To schedule a ride, please call Alpine County Dial-A-Ride at 530-694-9301. No new pick-ups after 4:30 p.m.
Fares shall cover the full cost of the trip including mileage from portal to portal and return trip based on the current IRS mileage reimbursement rate and the full labor cost for the driver for the entire duration of the trip. For more information or to submit a complaint, see our Dial-A-Ride Guidelines and Complaint Form. 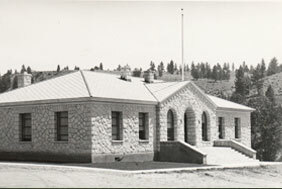 Alpine County operates its programs and services without regard to race, color, and national origin in accordance with Title VI of the Civil Rights Act. Any person who believes she or he has been aggrieved by any unlawful discriminatory practice under Title VI may file a complaint with Alpine County. For more information on Alpine County civil rights program, and the procedures to file a complaint, contact 530-694-2140, or visit our administrative office at 50 Diamond Valley Road, Markleeville, CA 96120. If information is needed in another language, contact 530-694-2140. Alpine County opera sus programas y servicios sin respecto a raza, color y origen nacional con arreglo al título VI de la Civil Ley de derechos. Cualquier persona que cree él o ella ha sido agraviado por cualquier práctica discriminatoria ilegal bajo el título VI puede presentar una queja con Alpine County. Para obtener más información sobre el programa derechos civiles capaz de industrias y el procedimientos para presentar una queja, llame al 530-694-2140, o visite nuestra oficina administrativa en 50 Diamond Valley Road, Markleeville, CA 96120. Un demandante puede presentar una queja directamente con el Federal Transit Administration por archivar una queja con la Office of Civil Rights, Attention: Title VI Program Coordinator, East Building, 5th Floor-TCR, 1200 New Jersey Ave., SE, Washington, DC 20590. Si se necesita información en otro idioma, contacte al 530-694-2140.